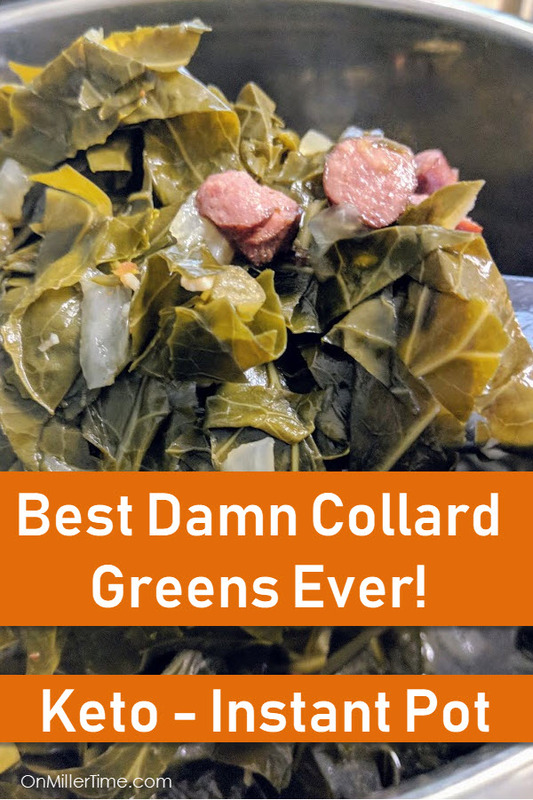 The secret to REALLY great collard greens is bacon grease. I keep a container of it around at all times, mainly because I CAN being on Keto! Here’s how to make the magic happen…. Choose your meat – I like sausage (MMM Bradley’s Sausage) but you can use ham or bacon too. I actually used little smokies in this batch and it was still awesome. Like I always say…use what you got! Put a few tablespoons of bacon grease in your Instant Pot. Saute the meat and the onions together until the onions are translucent and the meat is done (if not smoked). 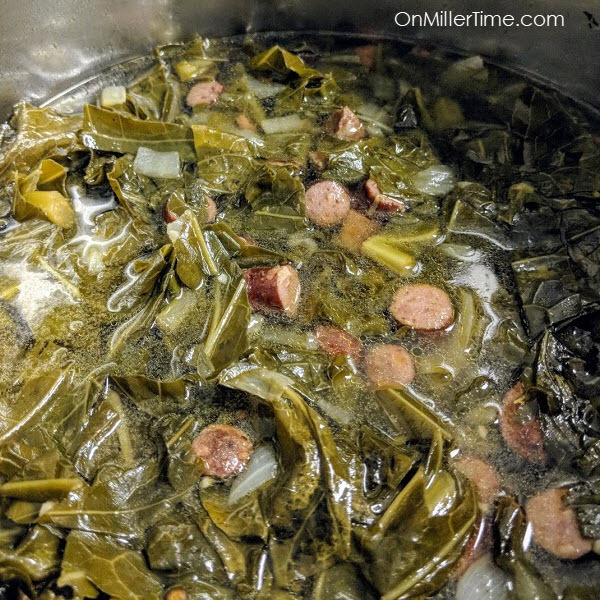 Add the collards and enough chicken stock or bone broth to cover the collards. Select “Manual” and set about 30 minutes. Let cook and slow release. If they aren’t quite done enough for you add another 10 minutes. Usually 30 is plenty. 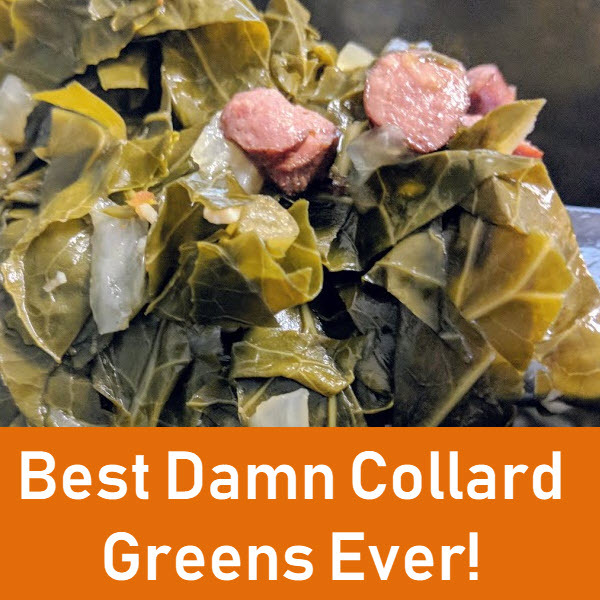 Enjoy because you are now in collard green heaven!